The ROC Robotics field trip to the Jet Propulsion Laboratory, also commonly referred to JPL, gave students an insight on what and how engineering is incorporated in the astronomical field. The employees expressed their passion and what they did and how prodigious the role of the engineer may be. 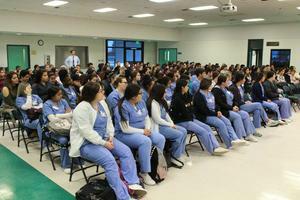 The ROC health career programs recently partnered with Dignity Health to put together a Health Care Career Forum for all of the ROC patient care related program students. Over 350 students attended. 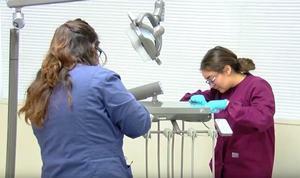 The ROC Dental Assistant program welcomed in the Kern High Public Information cameras into their classroom, leading to this great video. The ROC Business, Banking, and Finance class recently took a trip to downtown Los Angeles to visit the Federal Reserve Bank. Competing in a small business startup competition is exciting, exhausting, and invigorating for anyone, but all the more so for ROC students who were competing against college students and business professionals, some 30+ years their senior. Applications for the 2019-2020 school year are now being accepted. If you will be a high school junor or senior, we encourage you to look at our many program offerings. ROC's application period for next school year is now open. Current high school sophomores and juniors are encouraged to consider the vast opportunities provided by ROC. Get started by checking out these links and then be sure to submit your application prior to the deadline. 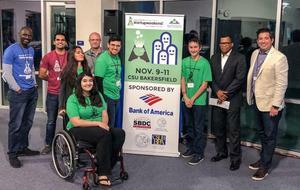 Recently through a partnership between ROC, Bakersfield College, and industry, select students were given the opportunity to participate in an event called Entree to Employment. The purpose of the event was to give students interested in a particular career pathway a chance to have a formal dinner with industry partners from the sector in which they are interested. 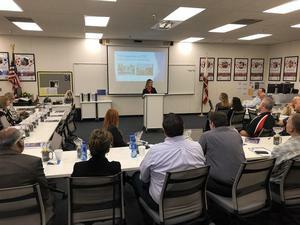 ROC recently hosted 30 community members for the KHSD’s annual Principal Partners Day event. Industry partners and postsecondary partners got a chance to learn about all of the opportunities provided to ROC students that will help to prepare them to be successful on their career path.